Thanks to the security cameras that work with Alexa & Google Home, such “fictional” scenes have become real. There is no doubt that these CCTV cameras will bring more convenience to your daily life and also build a smarter home. So will you be enticed into buying one for your home? If yes, how to select the best IP cameras that are compatible with Alexa or Google Assistant? To make a wise purchase, continue reading to learn more about their benefits and also the top items to consider when buying smart security cameras that work with Alexa and Google Home/Assistant (a cost-effective option is also included). Before jumping to the security cameras that work with Alexa and Google Home/Assistant, we will go through some basics of Google Assistant, Google Home, Amazon Alexa and Amazon Echo. Both Google Home and Amazon Echo are voice-activated speakers that are equipped with the advanced virtual assistant systems. With these smart speakers in your house, you are able to connect all the smart home devices together and manage them by hands-off voice controls. Meanwhile, Google Assistant and Amazon Alexa are the virtual assistants embedded in these two speakers and also among other smart home devices, like lights, security cameras and also TVs. These advanced assistant systems come with the ability to dictate commands to control smart assistant-compatible devices, such as security cameras that work with Google Home/Assistant and Alexa, and thus, make your home smarter. Editor’s Note: A smart speaker is not necessary when using smart assistants for home automation. 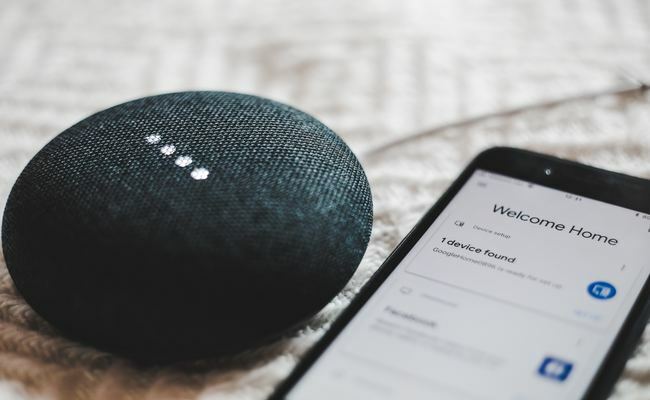 Just by using phones or tablets with built-in Google Assistant or downloading the Amazon App on your devices, you are able to centralize your smart home controls without smart speakers. Security cameras that work with Alexa or Google Home/Assistant are among the trendiest smart devices nowadays. So why are security cameras compatible with Google Home and Alexa special? What makes them outshine average security cameras? After connecting the security cameras that work with Alexa or Google Assistant to the smart speakers, you are able to access the cameras effortlessly without tapping the App or the Client. When hearing the oral dictate, like “Hey Alexa, show me the living room”, smart home security cameras compatible with Alexa will wake up and show you the images of your home or business. Security cameras for Alexa and Google Assistant, together with other smart home devices, are able to make your home safer and smarter. 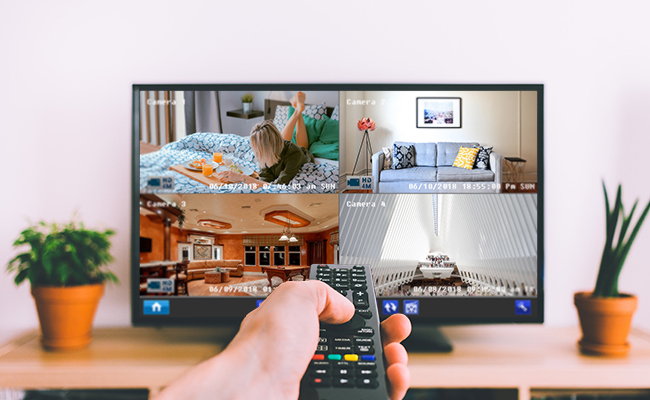 For example, you can stream videos on assistant systems-embedded TVs or get your doors locked when you find your doors open through the images of security cameras with Google Home. According to a report on smart home from Statista, the percentage of smart security cameras and other security devices applied in American’s families was 11.02% in 2017 and is expected to hit 32.65% in 2023. Meanwhile, the advanced IP cameras that work with Alexa or Google Home/Assistant are among the top security options for active households. Such CCTV cameras won’t be outdated in the near future and they are worthy of your investment as well. Generally speaking, the best security cameras that work with Google Home or Alexa for sale are relatively expensive, with a price starting from $150 to over $250. To buy a cost-effective security option, it is vital for you to have a closer look at the features and service offered by the CCTV cameras. Supposed that you are looking for outdoor security cameras that work with Google Assistant/Home and Alexa, you may have a look at their weatherproof rating (IP65 or above), working temperature, vandal proof rating and also night vision performance. Another two items worth your attention are their warranty period and additional fees. If the home security cameras compatible with Alexa and Google Home offer a long warranty period, you can contact the support team when the security cameras won’t work properly and save the maintenance costs. Some non-DIY type IP security cameras may charge for additional services as well, like installation costs or other subscription fees. So, you may keep a watchful eye on the possible hidden fees behind the price tag of the CCTV cameras (check here to learn more about these hidden costs and how to avoid them). To make full use of security cameras that work with Google Home and Alexa, take a detailed look at their compatibility list first. The list will indicate which smart assistants they support, Google Assistant or Amazon Alexa, and also the functions that can be controlled by voice commands. By doing so, you can avoid the compatibility issues and integration problems to a large extent when using Google Assistant or Alexa-compatible security cameras. When buying security cameras that work with Google Home and Alexa, you can also check their encryption technology and the hackerproof methods. For example, the reliable encryption methods applied in home security cameras with Alexa and Google Assistant include SSL encryption, WPA2-AES encryption and TLS-enabled. 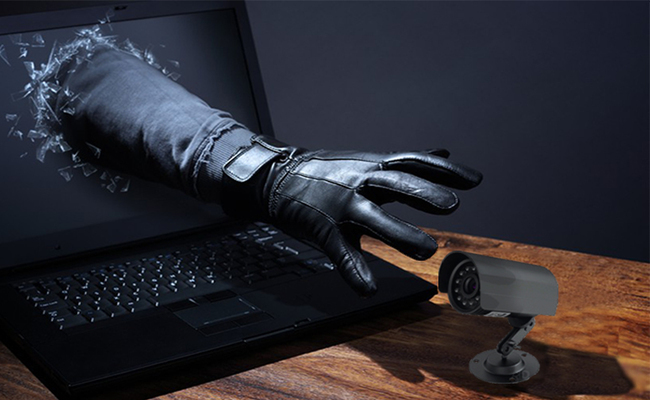 And to better protect your privacy and prevent your security cameras from being hacked, you can set up a more secure password, upgrade the firmware in time and limit unknown devices to access your home network. Further Reading: You may check here to learn how to secure your wireless security cameras that work with Google Home and Alexa. As noted above, smart home devices like security cameras that work with Alexa and Google Home prevail nowadays. And multiple security camera brands have launched their smart security cameras compatible with Google Home/Assistant and Alexa (check out the list of available options here). Reolink is also planning to make its wire-free security camera Reolink Argus® 2 to work with Google Assistant at the beginning of the 2nd quarter in 2019. With the smart assistant-compatible feature, this Reolink’s best seller will allow you to integrate it into your smart home system and run it simply via voice controls. Together with its other outstanding features like starlight night vision and weatherproof rating, this outdoor security camera is a perfect security option for your home and business. Here is a video sample of Argus 2, demonstrating its brilliant night vision feature. Connecting your security cameras to Alexa or Google Home is not a time-sponge task. Once you have set up these CCTV cameras successfully, you are able to control them through voice commands without checking your phones or PCs. #1. Install the smart speakers and the IP cameras that work with Alexa or Google Assistant inside your houses or workplaces. #2. Download the smart assistant App and sign in. #3. Add the security cameras that work with Alexa and Google Home/Assistant to your account. #4. Test if you can control security cameras with Google Home or Alexa through voice commands, such as, “Alexa, show me the videos of the living room” or “OK Google, disable the siren of the security camera near the door”. That is everything you need to connect security cameras to Alexa or Google Home. Also note that if there are Google Assistant or Alexa-compatible TVs in your home, you can also stream security camera videos on the TVs as well. What is your opinion towards security cameras that work with Google Home and Alexa? Which features of security cameras with Alexa and Google Home/Assistant will you care the most? Share your ideas in the comment below and we would love to hear! This entry was posted in Buyer's Guide and tagged smart home, smart home devices, smart security camera compatible with Alexa, smart security camera compatible with Google Assistant. Hi Ed, thank you for your kind suggestion and we have added a link of the security cameras that work with Alexa in Part 4. Will I be able to view the live camera feed on my Google Home hub? This is a critical feature to me. I’d like to be able to say, “OK google, show me the front door camera” and have it come up on my Google Home Hub display. Hello Dave, of course yes if you have applied a Google Assistant-compatible security camera. We are also planning to upgrade Reolink Argus®2 to work with Google home in the near future. Stay tuned and we will get you informed once it is available. I already own and installed 6 Reolink RLC-410 cameras for my home security system with your 8 channel DVR. Is there a way to integrate them using Google home hub or assistant? Is your RLN8-410 going to have a software update including compatibility with Google home assistant? Great article. I am planning to purchase 5 mp POE wired Reolink, any plan to make this configuration to be Alexa compatible? I see only the Argus 2 but thought I ask anyway…. Hi there, the specific time still remains to be determined. You may follow us on Facebook/Twitter to stay tuned! When Argus 2 camera will work with Alexa? I have Argus 2, it does not work .Alexa app does not find my networked camera.